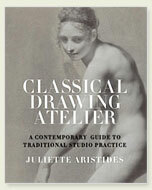 Juliette Aristides is the founder and director of the Classical Atelier at the Seattle Academy of Fine Arts. Her book Classical Drawing Atelier - A Contemporary Guide to Traditional Studio Practice (2006) teaches art students how to draw by studying the work of old masters and contemporary realist artists. 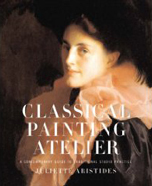 Aristides followed up on her first work with Classical Painting Atelier - A Contemporary Guide to Traditional Studio Practice (2008). Again her approach is the 'atelier education model' where students learn from master artists to develop their own individual skills, this time with a focus on full-color still life, portraits, and figure paintings. For more information please go to http://www.aristidesarts.com/.